Ah, the eternal question: what to gift the horror-lover in your life? You know who I mean, the person who watches every bad scary movie on Netflix, who thinks dinner and a haunted house makes for a great first date, who visits ghost towns on long weekends. Sure, you could go the obvious routes for Christmas stocking stuffers or birthday gifts: socks, gift cards, or the number of a really good mental health professional. 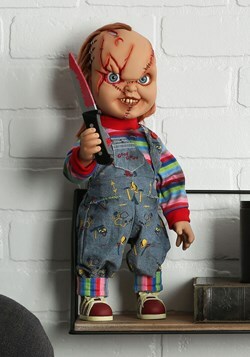 Or, you could terrify them by showing just how well you know them, and give them this 5 Star: Horror—Chucky Figure, instead! We know which route we'd go, if we were you. 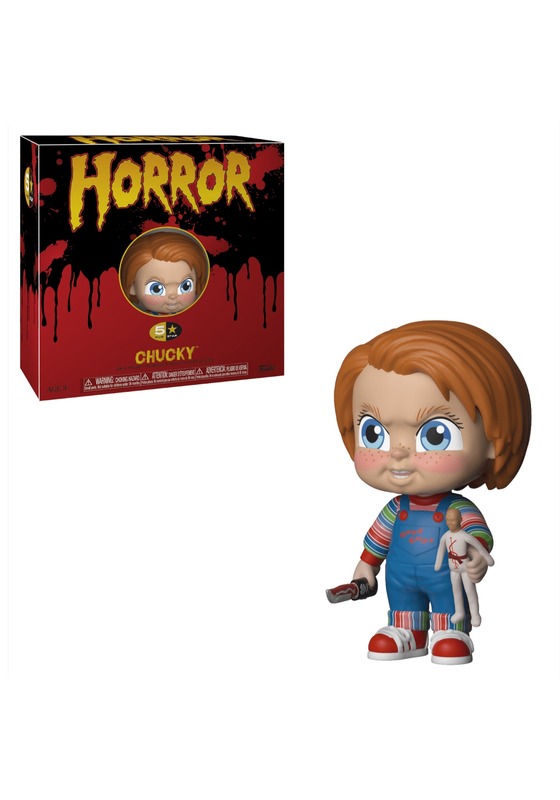 The fright fan in your life will totally flip for this officially licensed little figure from the Funko Horror 5-Star line. The head and arms are moveable, which is awesome, and his expression is totally terrifying. 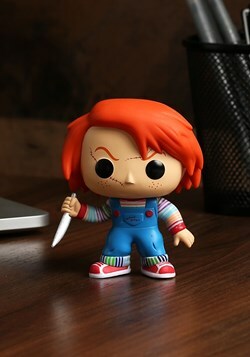 This 3-inch tall figurine comes with a small, detailed knife that fits right into his creepy doll hand, as does the little voodoo doll accessory. 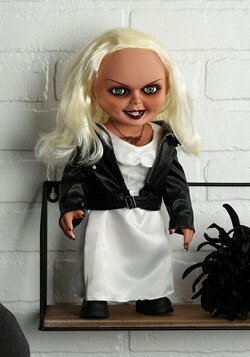 If it is possible for something to be endearingly cute and completely bone-chilling at the same time, this little doll accomplishes that. Your pal is going to love it! Good choice.